Common Edible Mushrooms — Be careful here. It’s recommended that you never eat a wild mushroom without personal instruction with an expert forager/herbalist. When the Economy Collapses, What is "Money"? 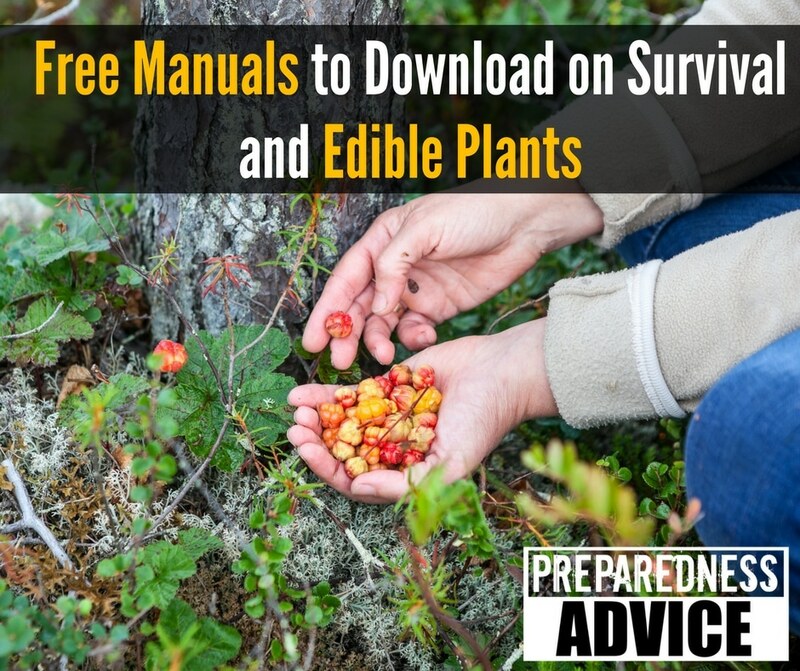 This entry was posted in edible plants, survival and tagged army, edible plants, free manuals, herbalism, herbs, military survival, shelter, survival, Water Purification, weather, winter survival. Bookmark the permalink. Thank you for making such a great collection of information available. I look forward to perusing each and gleaning what I can. Knowledge always has been and always will be the greatest tool to survival. It is like a breath of fresh air reading all that you do too help others get prepared when the SHTF. Your efforts are much appreciated and needed in times like these. Well done and good job brother.On a note, could you do something of bicycles and panniers for mountain touring,as you can tell by my adderss, Im acyclests and bike tour also TY Bearman. Thank you for the helpful links. Thanks, didn’t have most of those in our electronic library/database. If you have an electronic database remember to have a a back-up in an EMP proof container along with a back-up computer. I do both as 2 is 1…. Thank you for your generosity of sharing such helpful information! I am in a process of installing water well (with a hand pump) too. I will keep a hard copy of your information. Thanks… I have filed them all on our 3 TB hard drive library and will save them accordingly for the future Generations out of the USA in a secure way and manner..
thank you for putting this together. now loaded on the kindle with medical, gardening, building, mechanical and other useful manuals. its amazing how much can be had from public domain. I keep the kindle, a solar charger and a few various types of radios in static bags inside a small faraday container. hope it isn’t needed. This is very thoughtful and kind of you! Thank you for all the work you have done for others. God Bless You! Need edible plant guide for very remote desert areas, which is where I live. Dear Sir, Thank you for all of your wonderful advice and free, helpful documents. I have added a few links to other documents you may find helpful (though you may NOT want to post all of them).